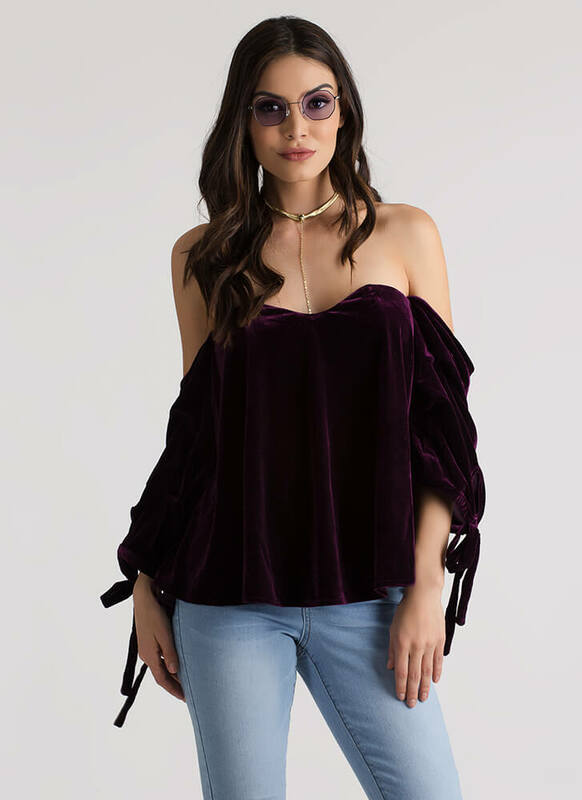 This top is goth and romantic at the same time, and we couldn't love it more. 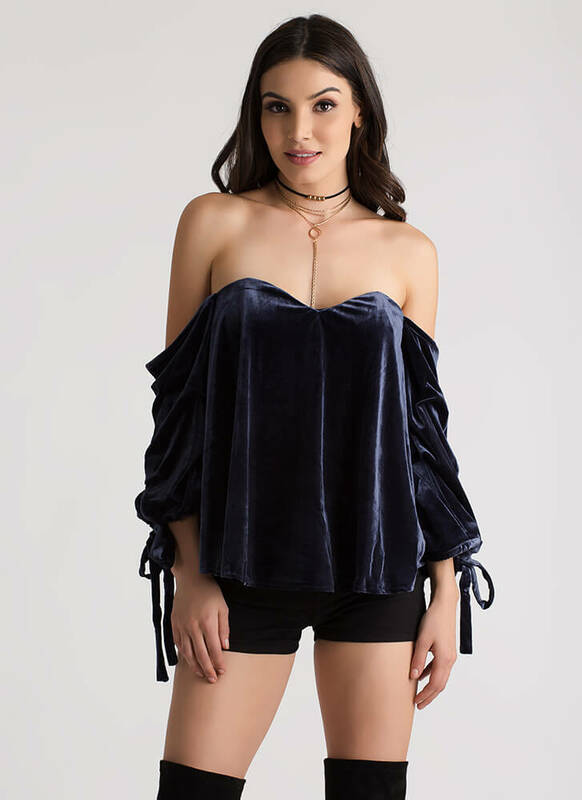 Stretchy, velvet, off-the-shoulder top features a deep sweetheart neckline with wire boning, a super flared silhouette, and puffy, draped, attached long sleeves that are split at the wrists and finished with self-tie laces. 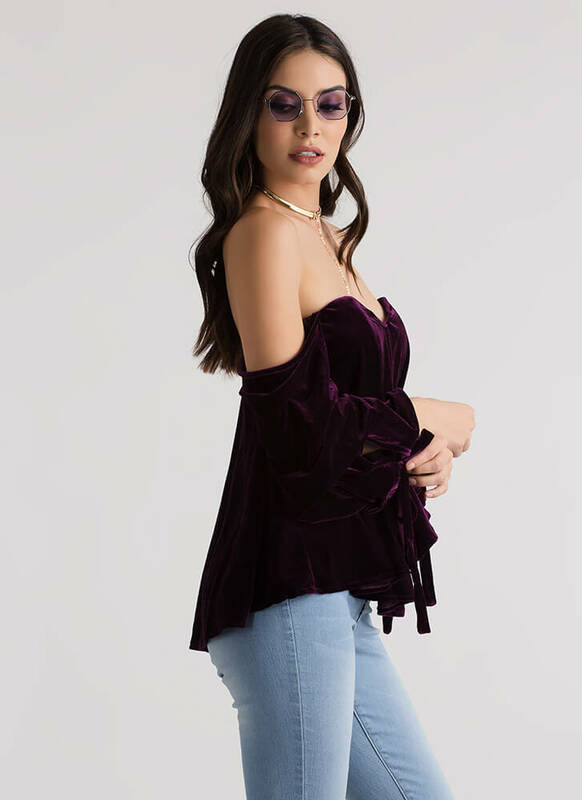 Top also includes rubbery gripping along the bustline and a hidden rear zipper for easy on and off.